I’d like to personally dedicate this review to Jennifer. A stellar individual, passion is shared unambiguously and much fun is always had. Thank you for your unparalleled assistance and many, many kind words. Note: In this review I review the pure parfum rendition of Bois Des Iles, however both contain their wonderful and unique nuances. I’ve come to an interesting conclusion whenever I write about Chanel fragrances now: I always weave in the word ‘superlative’. More precisely, I have found Ernest Beaux’s work to be absolutely stunning as I’ve progressed through my fragrant journey. From Cuir de Russie, No. 5, Bois des Iles, and No. 22, each work is a masterpiece, making me believe that Mr. Beaux was an absolute perfectionist and perhaps a pedant in all things. Additionally, as I am sucker for storytelling, modern Chanel works very hard to preserve their originality and this for me is an excellent quality. Each description of each fragrance on the official site is a poetic journey frozen in its original time. Chanel makes their products stand the test of time, and when the circumstances don’t allow it they protect and maintain heritage, concept, and originality with a covert yet iron fashion. Moreover, Bois Des Iles was something I foolishly neglected. I left it at the bottom of my sample box and the event that compelled me to find it was a post on Instagram with a myriad of comments saying how divine the fragrance is; so naturally I took it out. My conclusion? Bois des Iles, you’re a babe with a dark side. 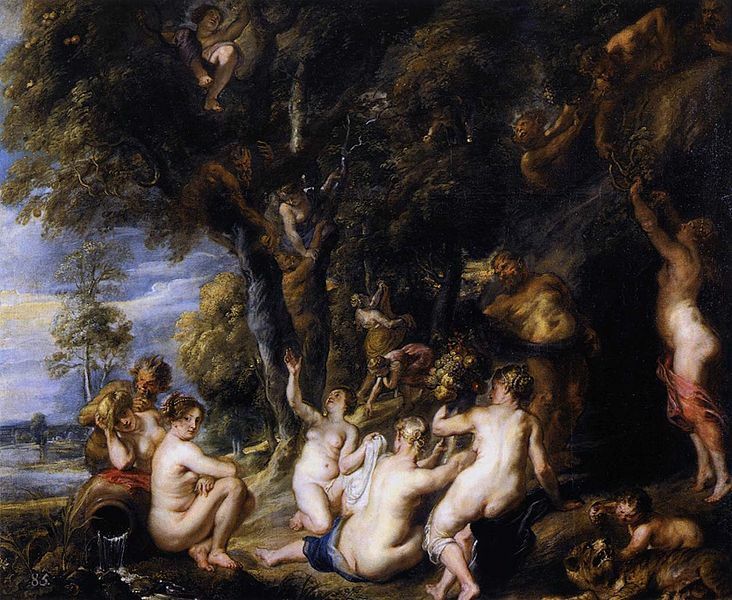 Peter Paul Rubens “Nymphs and Satyrs” Circa 1635. If you’ve had the chance to walk through the forest woods or the highlands in autumn – you know it is an incredibly fragrant journey. Bois des Iles is an ode to the smell of the quixotic woods and being rapt in the fleeting yet regal sound of Tchaikovsky’s Queen of Spades. Bois des Iles is a confrontation between light and dark. It’s aldehydic opening notes are like fizzy bubbles of carbon, with mandarin and a ‘Mitsouko’ peach imparting a wholesome feel like an innocuous child. The supreme use of sandalwood is rich, smooth and complex; a paradox between dry, spice, powder and plumpness. A sweet opening is ‘light’ whereas woods serve to recreate the absence of light. The sandalwood here is superlative and leaves me lost for words. All I can say is beautiful. The bottom of the forest floor (the other and final inspiration) is like painterly realism watercolour artwork in an autumn hue. Paintbrushes randomly yet somehow categorically scatter across the canvas with burnt and earthy colours. This is what I perceive when smelling this fragrance through its various stages. The gingerbread accord is warm and spicy, with warm coriander seed giving the impression of cinnamon, nutmeg and clove; the christmas holiday spices. Crisp orange blossom and bergamot is quickly lost after the opening and is redolent of 31 Rue Cambon, working wonders with the Chanel aldehydes giving a sense of lightness and effervescence, yet points of accentuation shine throughout too. The No. 5 notes of ylang-ylang and jasmine are present in Bois Des Iles, weaving through like a powdery profusion of florals and nodding eternally in respect. There’s a progressive warmth throughout, like a dark room lit only by the crackling fireplace. Rich bourbon-like vanilla hues mingle with the powder of orris root and the fleshy sweetness of peach, together creating a composition opening like sweet nectarous dust. Somehow feminine and somehow masculine, Bois Des Iles’ paradoxical pairing is like a beautiful maiden nymph at the start and evolves into a woodland male satyr; interestingly, these two mythological creatures often coexist (see above pic). In closing, the warm quasi-gourmand spice hits of amber, resins, tonka bean, opoponax and benzoin attune themselves to the fireplace idea whilst commingling with woods – yet never beat to their own drum. An icy aldehydic opening is chillingly refreshing, whilst a warm and sumptuous drydown delivering comfort and realism. Perfection. Alternatives: No. 5 by Chanel; Egoiste by Chanel; Samsara by Guerlain; and Mitsouko by Guerlain. A vastly complex fragrance, Bois des Iles is a pseudo-oriental, quasi-fruit, partially-woody juxtaposition that certainly will make heads turn – without confusion. Every corner is beautiful; every dimension is fulfilling. 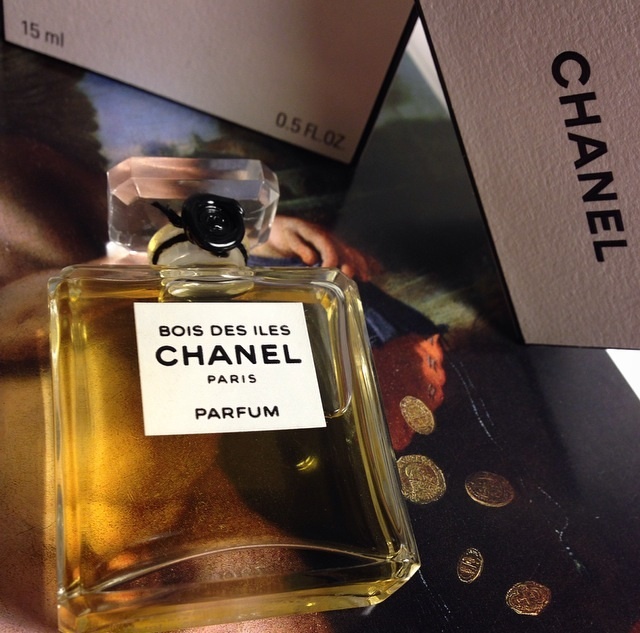 This entry was posted in Chanel and tagged Bois Des Iles, Chanel, Fragrance, Perfume, Review. Bookmark the permalink. I’m glad you picked up on that Melita. Sometimes when I’m smelling things I tend to also pick out similar notes across other fragrances. You might hear me say “A Mitsouko peach”, an “Eau Sauvage rosemary” or an “Ambre Narguille dry-fruit note” – this means that I detect similarities between a pronounced and famous note or accord. Anyway – Mitsouko is so complex the opening is an entire orchestra!